The concept of teaching character has become nearly synonymous with teaching martial arts. For better or for worse, since the original Karate Kid movie released the public has held the image of benevolent, peace-loving, slightly cantankerous Mr. Miyagi to be the measure by which all children’s martial arts instructors should be measured. But just how important is it really to the success of your school that you teach positive values such as courtesy to your students? 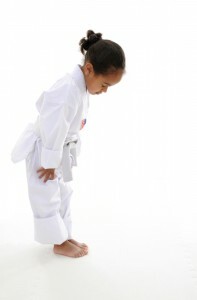 Isn’t it enough to simply follow traditional rituals of bowing and calling instructors “sir”, “ma’am”, or sensei? Is it really necessary to do more? The concept of “teaching benefits” has been around for a while in the martial arts industry. I believe it actually started right after The Karate Kid released, when martial arts instructors suddenly realized that parents who brought their children to them actually expected the instructors to teach them more than the skills of physical violence. Sure, you can call it “self-defense” if you like, but without internal tempering the external skills of the martial arts are merely weaponry in the hands of any person. Just as a firearm knows no inherent ethics or morality, neither do the physical skills of the martial arts bear any of these traits either, no matter how much we wish to romanticize the arts we practice. Parents were quick to pick up on this; I would imagine that it started the first time a kid used what they learned in class at school and the parents got a call from the principal. I can hear the parents complaining now: “I wanted you to teach him to be like Ralph Macchio, not those Cobra-Kai kids!” And, I’m sure that the first instructor who heard this complaint soon realized that the gravy train was going to leave the station if he didn’t start instilling some character values into the kids in his classes. But here’s the thing; if just modeling courteous behavior isn’t enough (and any parent knows this to be the case) then how do you teach these lessons within the span of a 45-60 minute martial arts class? Thus, the concept of the mat chat was born. Now, by having a specified time set aside during each lesson when students are verbally instructed on the virtues of courtesy and so forth, not only are such lessons reinforced regularly, but also parents who are watching classes from the sidelines actually get to witness the lessons being imparted. As you can imagine, this can have a profound impact on student retention rates, as well as rates of student referrals to your studio. Not only that, but teaching these character values also provides a deeper and more profound sense of meaning to the martial arts instruction profession. 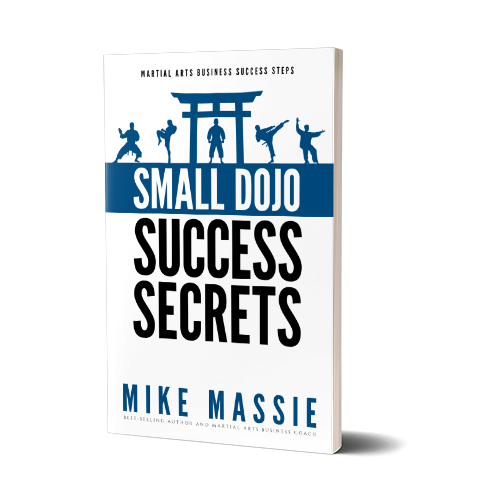 So, not only does it improve your bottom line, it also provides you, the instructor, with a deeper sense of personal fulfillment from teaching martial arts as well. However apparent the financial and social benefits of teaching character development programs might be, there is a flipside to doing so that you need to be aware of before you start teaching them in your school. And that is, you’ll automatically be held to a higher standard by virtue of the very lessons you are attempting to instill in your students. Thus, the burden also remains with you, the instructor, to make certain you can live up to what you’re teaching in your mat chats, because certainly you will be held up to the standards you expect from your students. In other words, you can’t be a hypocrite. If you teach courtesy and other values to your students, you need to take a good long look inside and at how you conduct yourself in your interactions with others, and honestly evaluate whether or not you’re living up to your lessons. Believe me, if you put yourself forth in your community as a person who is a role model for children, someone is always watching your every move in public. My point here is that as a profession that has evolved into this sub-niche of teaching character development programs for children, we need to hold ourselves to a higher standard, or we risk losing our credibility as a profession entirely. So, my advice to you is that you model the courtesy you’re teaching your younger students both inside and outside the dojo. For many of you who are reading this, this is no great news flash. That’s likely because you’ve already internalized all those lessons you’ve been teaching your child students, and most likely you did so long before you opened your studio. But for others of you who are reading this right now, you have a decision to make. Will you continue to preach courtesy and self-control on week nights, and then let it all hang out when you think no one is looking? Or, will you make a commitment to bettering yourself for the sake of your business and your students’ welfare? Look, we all screw up on occasion. Whether it’s losing our cool with someone, or being short with your kids or spouse, or “forgetting” to pay a bill on time… but the thing is, we need to hold ourselves to a higher standard, before we make a mistake that can have a lasting negative impact on the most impressionable students we have. Need help setting up a character education program in your dojo? Don’t know where to start? Need ideas for mat chats? Click here! Do you have a character development/mat chat program that you recommend? My name is chandran madathil, a kungfu professional from india. I have read some of the articles you’re posted in your website. The informations are great,I really appreciate your work and the endeavor.